UX Passion at KulenDayz - an utterly delicious IT conference! UX Passion at KulenDayz – an utterly delicious IT conference! Last weekend our visual designer, Hrvoje Bielen, was one of the speakers at KulenDayz – a truly one of a kind IT innovation conference. KulenDayz is, as its name clearly suggests, a very different kind of an IT conference. Held in Osijek, Croatia, it is much more casual than your regular IT conference where the attendees and speakers are all suits and skirts, stubbornly tossing around whichever buzzword is currently “in” and “hot”. It is, perhaps, exactly because of this casual air around it that KulenDayz manages to be more educational than your regular IT conference, as well. Instead of focusing on all the wrong things – the focus at KulenDayz is on sharing the knowledge, networking and having a great time truly getting to know other people in the industry. This year, for the first time since its birth in 2008, KulenDayz featured a design track – much to everyone’s delight! The speakers were carefully handpicked by the KulenDayz content team and our Hrvoje Bielen got to share his passion and knowledge of web typography with the room full of eager ears. 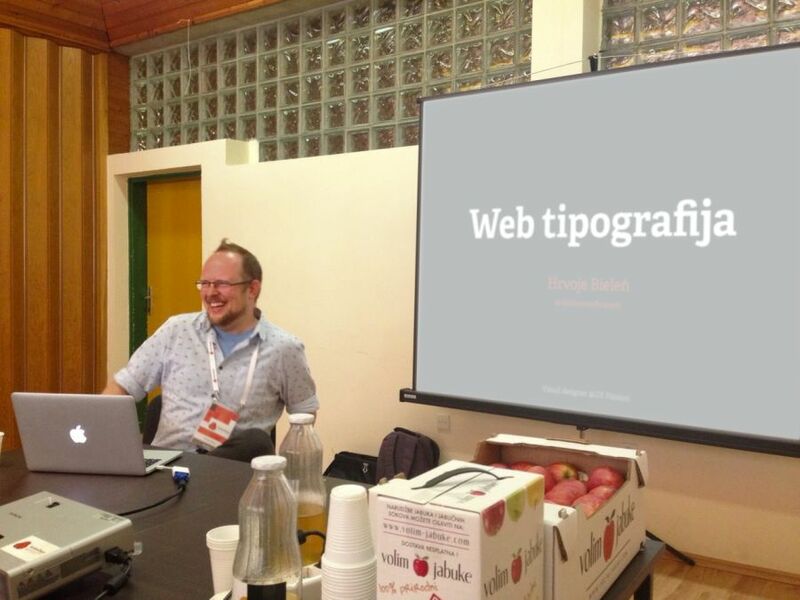 His talk about web typography garnered a lot of attention from front-end developers and designers. Hrvoje talked about OpenType features in web typography, which was a great continuation to an earlier great talk by Marko Jovanovac, who talked about the general history of typography and construction of letters. Between the talks, the attendees debated about the various features of typography, hierarchy, modularity in web design, and other web technologies. You could say the audience was, indeed, quite responsive! Perhaps the best pointer to the success of the talk was a lively discussion that took place at the end of Hrvoje’s presentation. The designers and developers both shared their opinions on which style of type is easier to read, sans or sans serif? Some argued sans serif improves readability of big chunks of text, but our Hrvoje doesn’t think things are as black and white – so to say! He believes there are many variables to consider when deciding on a typeface for your website – such as personal preference, brand identity, and expertise of both the designers and developers in charge, to state a few. But what do you think? Why not tweet us your thoughts on the subject @UXPassion? We’d love to hear from you!